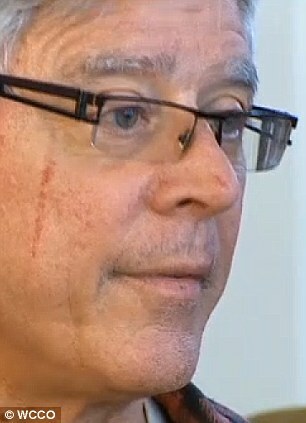 63 year old Mayoral candidate beaten up by two teenage girls with a billy club at Mall of America Starbucks after their male accomplice stole his iPhone. 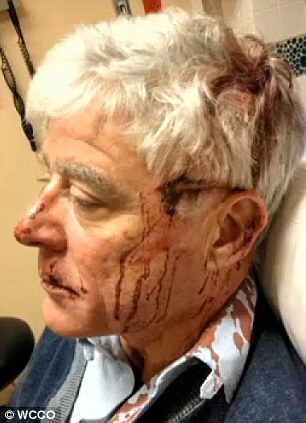 A former Minneapolis, Minnesota mayoral candidate was mercilessly beaten up by two teenage girls after having his cellphone stolen at a Mall of America Starbucks. Mark Andrew came in second to Betsy Hodges in the most competitive mayoral race Minneapolis has seen in a generation. The former Hennepin County Commissioner had just hung up the phone and was in the middle of writing his New Year’s resolutions Thursday evening when a young man came up and swiped his iPhone 4S off the cafe table. ‘I was targeted because the phone was out and I’m 63 years old, and I’m sure they thought that I was easy pickins,’ he told the Star Tribune. Not one to sit ideally by while a wrong is committed, Andrew got up and chased after the man but was stopped by his two teenage girl friends. ‘If somebody is gonna do that to me or somebody else, I’m not a bystander by nature I’ll go in and fight,’ he told CBS Minnesota. The women, one of them armed with a billy club, didn’t let Mr Andrew get away and mercilessly beat him over the head until he started bleeding profusely. When Mr Andrew fought back, one of the women,18-year-old Letaija Shapree Cutler-Cain from Brooklyn Park, gouged his face with her fingernails and said: ‘I’m going to kill you! Let me go or I’m going to kill you’. Mr Andrew says it took about five minutes for police to arrive and that hundreds of shoppers witnessed the incident, but no one intervened because ‘they were too afraid’ and he called that a ‘sad commentary’. When police arrived they took both of the women into custody. At first the women said Mr Andrews attacked them first, but a witness inside the restaurant stepped in to validate Mr Andrew’s story. Police were not able to find the man who originally stole the phone after he fled the mall. Shoppers saw him drop the phone and were able to return it to Mr Andrew. 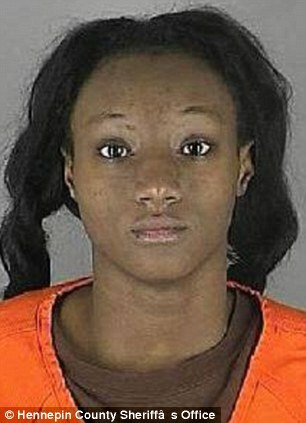 Cutler-Cain was taken to Hennepin County Jail where she was charged with one count second-degree assault and two counts of first-degree aggravated robbery. Her first court hearing is set for Monday. Police have not released the name of her 17-year-old accomplice since she is a minor. The deadline to file charges against the 17-year-old girl have been extended to Monday at noon. 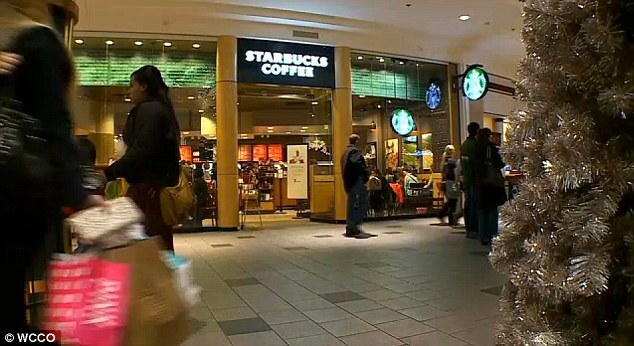 According to the criminal complaint, Cutler-Cain told police that she and her accomplices cased the Starbucks throughout the day to see if it was a ‘sweet’ spot to steal from customers. 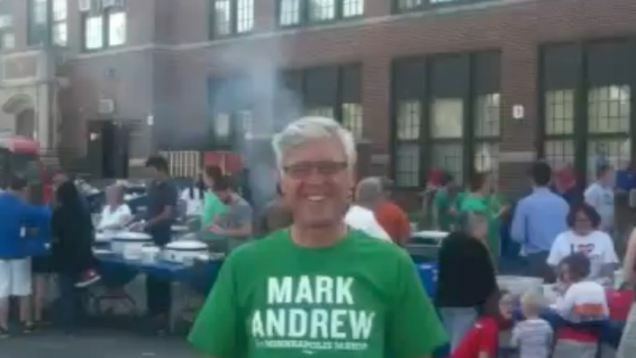 Mark Andrew in the community during his Mayoral Campaign. ‘People ought to be able to sit and have a cup of coffee without fear of assault,’ said Hennepin County Attorney Mike Freeman in a statement. Freeman is a longtime ally of Andrew’s and he endorsed him for mayor. After the incident, Mr Andrew was taken to Fairview Southdale Hospital where he received nine stitches to mend the large gash on his head. Police say he also had bruises and abrasions on his face. Mr Andrew was released from the hospital the same night and returned to his home in South Minnesapolis where he was welcomed by his adult children. 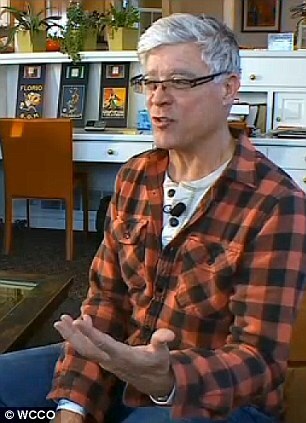 In an interview with the Star Tribune, Mr Andrew says he walked into his home and lifted his fist in the air and said: ‘We won’. He says he’s going to continue to stay involved in the case against the two women who beat him up. Previous Previous post: Florida: Man calls his daughter a “N****er Lover” and beats her boy friend with a brick!!! 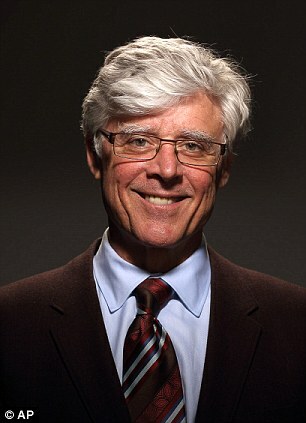 Enlightenment & Entertainment 63 year old Mayoral candidate beaten up by two teenage girls with a billy club at Mall of America Starbucks after their male accomplice stole his iPhone.